Nikolay Kazanskiy is responsible for all the company's divisions in Russia and manages a staff of more than 500 professionals. Under his leadership, the company's turnover in Russia has grown 250%. The company has diversified its business and launched new business lines in residential real estate, project management and construction supervision. The company has achieved its best financial performance in 25 years in Russia under Nikolay's management. Stanislav works in commercial real estate since 2004, consulting clients throughout Russian, CIS and Global real estate markets. During his work experience, he acquired a deep knowledge of the property and capital markets and a broad network of contacts among the major players in the industry, focusing on the profit maximizing and creating the additional value for the Company’s clients. Throughout his career Stanislav has participated in investment transactions with the total value of over $6 billion. 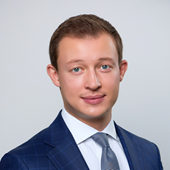 Between 2007-2008 Stanislav worked in London where he was involved in private equity transactions and corporate finance with a focus on UK, Central and Eastern Europe real estate markets. 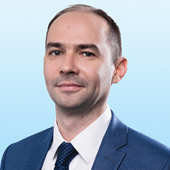 Prior to joining Colliers International, Stanislav worked as a Partner in Capital Markets department in Cushman & Wakefield, being responsible for capital markets and valuation for the key clients. In 2004-2006 I worked at Colliers International being involved in the major projects such as Grand Canyon. In 2006 I have joined Jones Lang LaSalle. Being responsible for the project marketing and leasing, I was the main broker of the SEC Gallery project (St. Petersburg) where more than 100 transactions were closed with my participation. In addition, I participated in Leto shopping center project and coordinated the Piterland project. In May of 2011 I continued the career at Colliers International and expanded the company’s portfolio with new projects. I have built one of the greatest retail team on the Russian market. I also personally closed about 500 deals as a broker. Since 2013 I am in charge of Retail Real Estate Departments in Moscow and St. Petersburg. My expertise includes retail property contracts, concept development and leasing shopping centers, cooperation with major international and federal tenants and developers. · St. Peterburg: Pearl Plaza, Stockmann Nevsky Center, Europolis, London Mall, Hollywood. · Region: Arkhangelsk city-SEC Titan Arena, Murmansk city- SEC Murmansk Mall & SEC Severnoe Nagornoe, Petrozavodsk city –SEC Lotus Plaza, Irkutsk city – SEC Silver Mall, Tomsk city–Izumrudniy Gorod, Pavlovskiy Pasad – Pavlovskiy Passazh, Minsk city – Palazzo Mall. Amel heads a new business for the company – Construction project management and Building consultancy. This department will provide the full range of services to developers and owners of commercial real estate in Russia. Amel played a direct role in the implementation of numerous projects, namely, 150,000 sq m of office premises, 340,000 sq m of retail space and 480,000 sq m of industrial facilities. Some of her most prominent projects include the business centre BolloevCenter, the office of GLN, a Media Markt electronics store, dozens of bank branches and offices, including for Barclays Bank, KMB-Bank, Swedbank and BNP Paribas. Under Amel’s leadership tenders have been won with such market leaders as Schneider Electric, Rexam Packaging, STADCO-Ford, General Motors and Hyundai, Michelin plants. Amel’s partners have included such international companies as GSE Group, OKEY Dorinda, LENTA, OBI, ATAK, REAL, Danone, P&G and others. Amel began working in Russia in 2003 at the representative office of the French engineering company Technip CIS, where she was responsible for the construction of industrial properties. In 2006 Amel was appointed Reconstruction and Fit-Out Business Development Director at Step, where she launched the company’s division for development of industrial projects. In 2012 Amel Djerroudi created and took the helm of BBNS Group, where she developed a unique project management instrument called Project Management Soft. The primary focus of BBNS Group is the construction of high-profile image-making commercial real estate projects in Russia. Карьеру в коммерческой недвижимости начала в 1998 году, в Санкт-Петербурге, в компании "VMB-Траст", которая специализируется на управлении и эксплуатации бизнес-центров. Позднее работала в юридических фирмах, оказывающих услуги в сфере недвижимости и градостроительного консалтинга. С 2004 по 2008 гг. была заместителем директора правового департамента девелоперской компании "Макромир". Принимала активное участие в значимых проектах рынка коммерчекой недвижимости, среди которых можно отметить процедуру банкротства завода "Красный Выборжец" и правовое сопровождение строительства нового терминала "Пулково" в ООО "Воздушные Ворота Северной Столицы". С 2011 по 2018 год работала в крупной инвестиционно-девелоперской компании FORTGROUP , сначала в должности директора по правовым вопросам, а с 2012 года - управляющим директором всей группы компаний и генеральным директором компаний, оказывающих услуги по управлению и эксплуатации коммерческой недвижимости. Eleonora joined Colliers International In 2011 as a Senior Consultant of the Warehouse, Industrial and Land Department. In 2012 as the result of high performance she was promoted to Associate Director. She began her career in commercial real estate sphere in 2008 as a consultant of the Warehouse Property Department at Jones Lang LaSalle, where she was responsible for warehouses leasing and land sales. 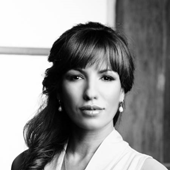 From 2004 to 2007, before entering the commercial real estate sector, Eleonora had been employed in luxurious residential real estate representative offices of “City Realty Russia” (St Petersburg) and “Beatrix Real Estate” (Moscow) , where she was responsible for closing leasing deals. At my current position I am responsible for creation and implementation of workflow schedule for my team, formulating goals and targets, authoring recommendations, leading key meetings with clients. I started my career in the investment company Rosbuilding, where I was responsible for sale of the company’s key properties in Moscow. While working in the company, I managed and participated in large-scale investment deals with overall value exceeding $ 100 million. In 2007 - 2012 I worked in Mirax Group, where I acquired an extensive experience in sales of luxury facilities in Russia and Europe, as well as formed a professional sales brokers’ team specialized on residential properties’ sales on both primary (new builds) and secondary markets (re-sales). In 2012 – 2015 I worked as Deputy General Director of Sales and Marketing, responsible for sales of the elite, premium and business class property, in the development company Barkli. Among the completed projects - Barkli Virgin House, Barkli Plaza, Barkli Park, Barkli Residence with the involvement of international architects and designers such as Philippe Starck, Kelly Hoppen and Robert Stern. Vladislav is the Regional director of Strategic Consulting Department. Vladislav`s area of expertise includes full range of consultancy services: from market feasibility analysis and preliminary project concept recommendations to consulting support of the project on the stage of brokerage. Vladislav managed concept development of Colliers International key projects, such as: VTB Arena Park, SEC "Hollywood" (St. Petersburg), SEC "SFERA Mall" (Moscow Region), SEC "Titan Arena" (Arkhangelsk), SC “Pavlovsky Passage”, SEC “Lotos Plaza”, SEC “Pribaltiysky”, SEC in Yoshkar-Ola. 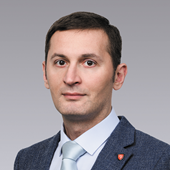 Prior to joining Colliers International Vladislav worked as Head of Retail Consulting Department in JLL Saint-Petersburg office. Professional experience in real estate – over 8 years. Dmitry is in charge of the valuation department in Russia. His core responsibilities include business development, key client relationship management, team management, quality control, business planning. 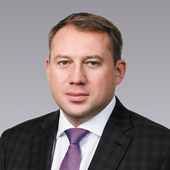 Before joining Colliers, Dmitry worked for Jones Lang LaSalle in Moscow for seven years. As an Associate Director in the valuation department at Jones Lang he was responsible for portfolio valuations, in particular, client relationship management, quality control, team management and business development. 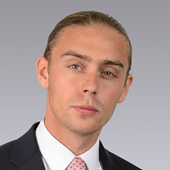 In 2008 Dmitry was on a secondment to the London office, Portfolio Valuation. 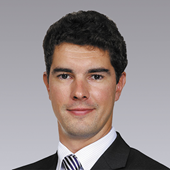 Prior to Jones Lang LaSalle Dmitry worked for Colliers International in St.Petersburg for two years. Dmitry has worked on investment valuations and development appraisals for leading Russian and international companies including AFI Development, Aareal Bank, Capital Group, Deutsche Bank, Don Stroy, Eastern Property Management, Etalon LenSpetsSMU, Eurohypo, Hines, Meinl, Renova, STT Group, Raven Russia, RosEuroDevelopment, Trigranit and others. 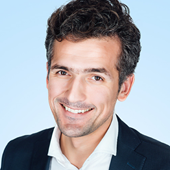 Dmitry has experience in undertaking valuations for all purposes, including IPO. ​10 years of professional experience, including 8 years of real estate research in the leading consulting companies. 2006-2008: regional analytic in Russian-based development company. Scope of work included retail analysis in Russian cities and preparation of the strategy for land acquisition in regional cities for retail purposes. 2008-2013: I started as a senior analyst in Jones Lang LaSalle St. Petersburg, created and headed research department, that focused on office, retail and warehouse research. In 2010 - promoted to Associate Director. Since May 2013 I'm heading newly created Research department in Colliers International St. Petersburg, covering six fields of analysis: retail, office, industrial, elite residential, hotel, and investments. Since beginning of 2016 heading Research department Colliers International Russia. 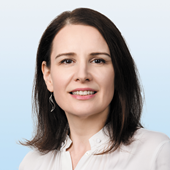 Tatiana joined to the Colliers International in 1998 where she started her work on position of Chief Accountant of Saint-Petersburg office, since 2003 she was promoted to Financial Director. Tatiana has over 22 years experience in Finance and Accounting and more than 18 years of experience in Real Estate. 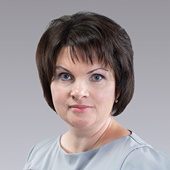 In April 2014 Tatiana was appointed on the position of the Regional Financial Director of Colliers International Russia. Holding the position of Regional Financial Director Tatiana is responsible for strategic planning and targeting, international reporting, budgeting, communication with external and internal auditors . 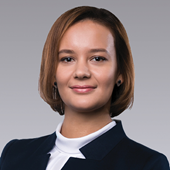 Irina is responsible for provision of full scope of consultancy services on the office real estate market, including strategic consultancy, lease and purchase transactions. Her main responsibilities include analysis of commercial real estate market, valuation of selected options in accordance with client’s requirements, leading negotiation process. The main area of his expertise is non investment sales, marketing technology in the context of office property sales and acquisitions as well as deal structuring and legislation procedures. 1 year in Colliers International 2015 - present time. 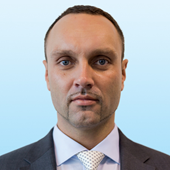 Francois joined Colliers International at the start of 2005 and has over 15 years of experience in the Russian Real Estate market. His combined experience of the office solution and real estate business provides him with valuable insights into the whole office cycle process. His core competencies include deal sourcing, analysis and transaction management. 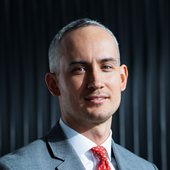 Denis has more than 12 years of experience in transaction support in investment disposals and acquisitions, valuation and advisory experience in commercial and residential real estate. Prior to joining Colliers International, Denis worked for CBRE and Cushman & Wakefield, where he was responsible for investment transactions, capital markets and advising investors, developers and owners of commercial real estate. 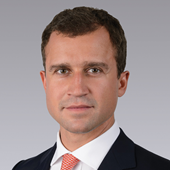 Denis also has experience working in Moscow and London offices of Citibank, serving institutional and corporate clients. The total work experience in commercial real estate is 16 years. 2002. Investment company “Rosbuilding” (Moscow): the beginning of the career. 2004. Development company “Horus Capital” (Moscow): sales of retail premises, including street retail, marketing support for the company's projects: Stanislavsky Factory, LUCH Factory. 2008-2009. Business Quarter “Yekaterinburg City” (Yekaterinburg): Commercial Director, marketing strategy. 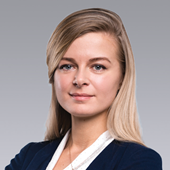 Ekaterina joined to the Colliers International in 2011 where she started her work on the position of HR&GA Director of Saint-Petersburg office. 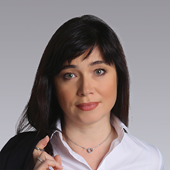 Ekaterina has over 15 years experience in HR sphere and before Colliers she collaborated with such huge companies as Ford Motor Company and Rosnano. 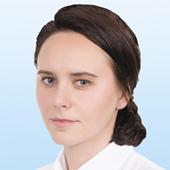 In October of 2012 Ekaterina was appointed on the position of the Regional HR&GA Director with the geography of responsibility area within Russian Federation. 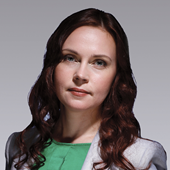 In 2014 Ekaterina was promoted on the Chief Operation Officer position. 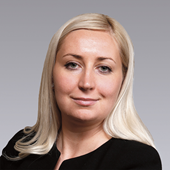 Since Property Management department has been created in Colliers Saint-Petersburg in 2016 Ekaterina diversified her responsibilities by taking additional functions in PM area. Before Colliers International worked for: “Center of consulting and valuation”, “Valuation Center “AVERS”. 12 years of professional experience in real estate. Since 2003 until now: Colliers International. 2002 – 2003 – AFK Sistema (Sistema-Gals North-West)​. Professional activity: business-planning, financial planning of residential and commercial real estate properties; best use analysis; industrial territories redevelopment projects; coordination with architects, concept and layouts optimization, market research. Anna has been working in Colliers International since 2007. Since 2010 Anna works in investment department. Having extensive experience in real estate consulting, she successfully mixes the background in concept development of residential and commercial real estate with financial analysis and modeling. Currently Anna is focused on investment transactions within city, including operating assets and sites for commercial and residential development. Over 15 years of professional experience in the real estate market. 2002-2006: Sales of off-plan Saint-Petersburg residential developments (converting leads into meetings and further into contracts), achieving monthly sales targets. 2006-2012: Headed Residential department in Knight Frank being in charge of local as well as international market of high-end properties. 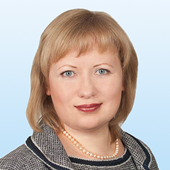 2012: Director/Residential Department of Colliers International in St. Petersburg. 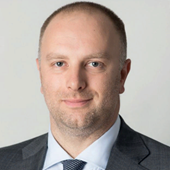 Igor Temnyshev is Director of Occupier Advisors and Office Department in St.Petersburg since June 2015. Experience in the field of commercial real estate - 7 years. Prior joining Colliers International, he worked in the field of development. Igor's experience and skills allow him implement projects taking into account all the client's needs and ultimately finding the best solution for them. 2005-2009 Finance Director of the restaurant "Korchma"
2002-2005 CEO of the brewery-restaurant "BarSuk"
More than 10 years of experience in marketing and PR, 8 years - in real estate segment.